My apologies if this is already a topic; I feel certain it is (or should be)! Show us your original, historic, and authentic arms, armour, and related material! I think this will kick off a good conversation. Anything from the dawn of humanity through to say mid-20th century? 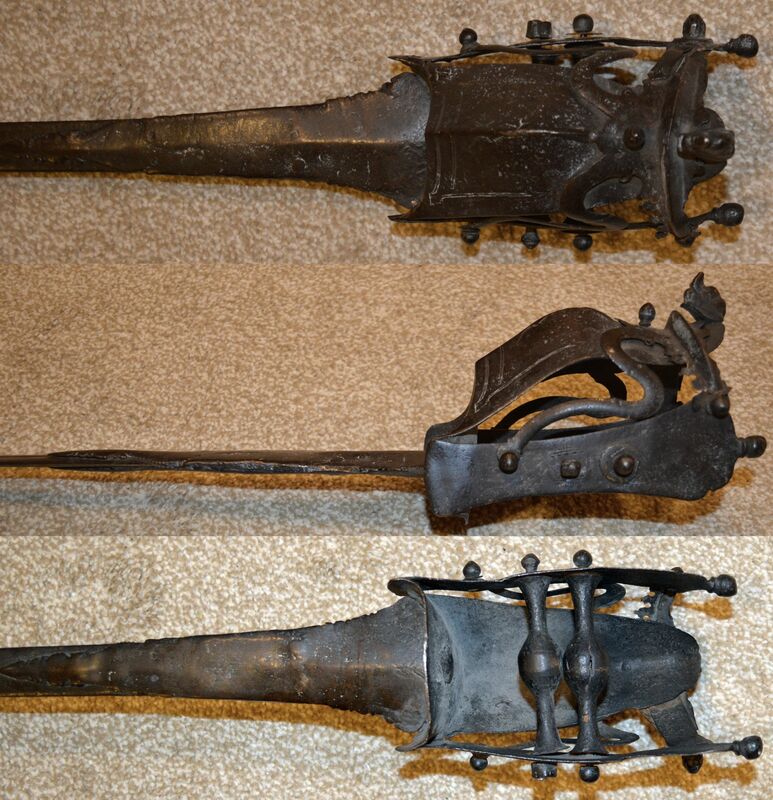 Definite props to anyone out there who owns some real medieval items! It would be great to see and share them! 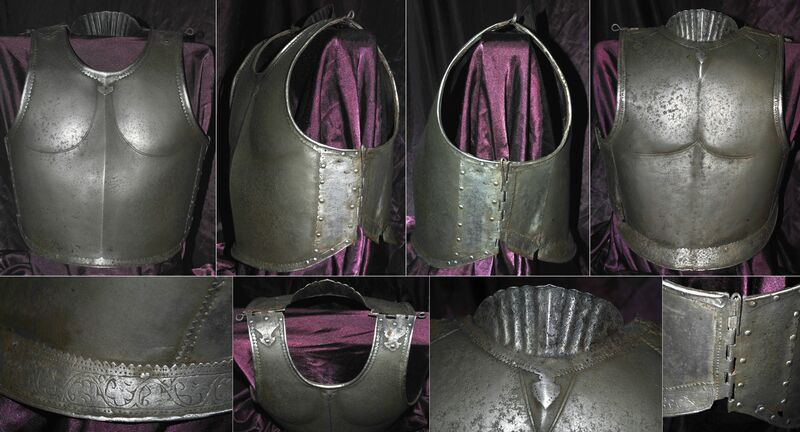 Ottoman krug cuirass front plate, 1500s, steel plates connected by round riveted mail and solid links, worn over a round riveted and solid link mail hauburk. 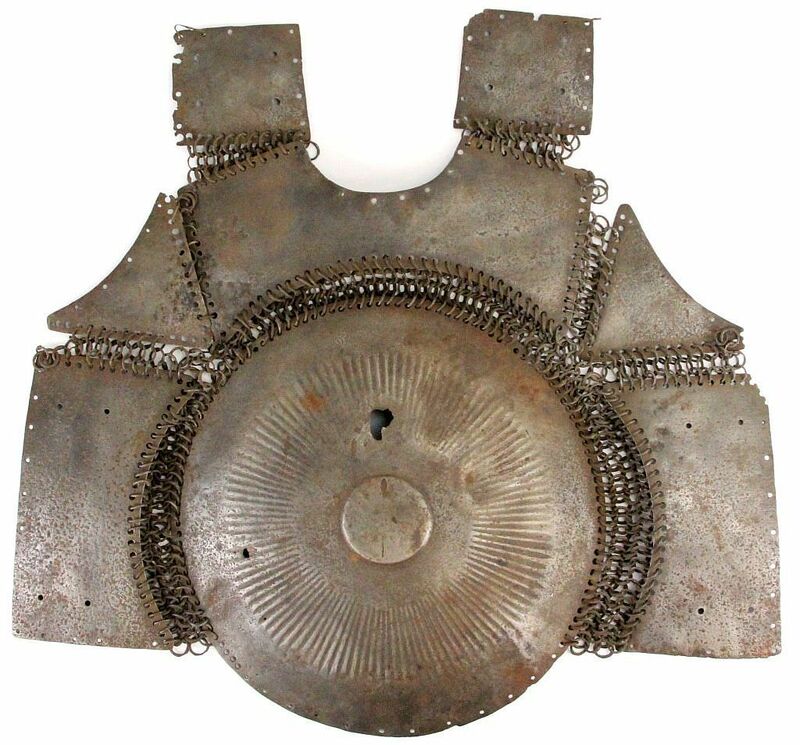 This type of armor was used by fully armored cavalrymen (sipahi) in conjunction with migfer (helmet), dizcek (cuisse or knee and thigh armor), zirah (mail shirt), kolluk/bazu band (vambrace/arm guards), and kolçak (greaves or shin armor). It has the St Irene arsenal mark, showing it was inventoried and stored in the great Ottoman armoury at Istanbul. The armoury was formerly a Christian church in what was known as Constantinople before the Ottoman conquest in 1453 by Mehmed II. 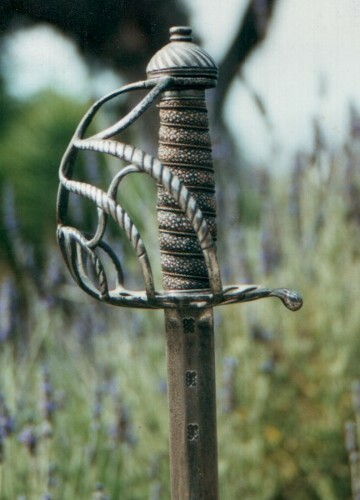 We have a thread for swords, here: http://myArmoury.com/talk/viewtopic.php?t=221...8ad64d34f1 . I cannot say about other forms of arms and armour. 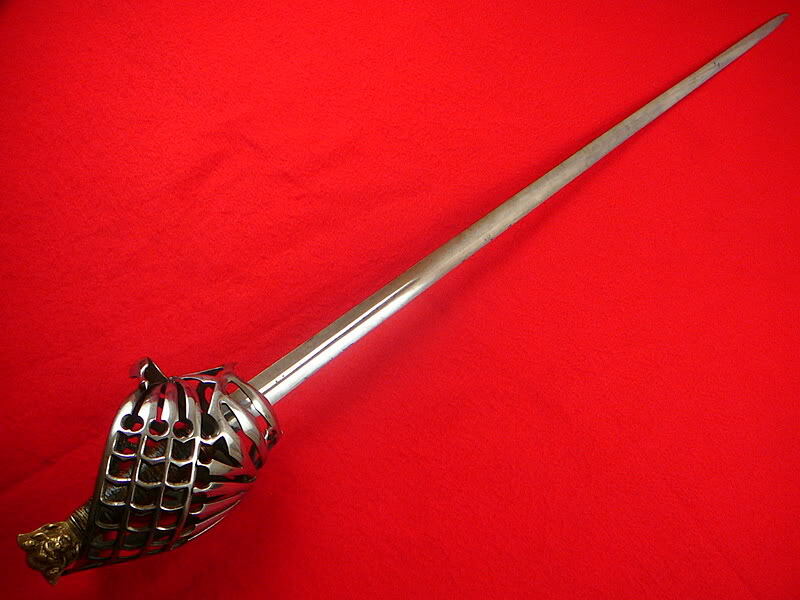 Actually that thread is for "antique medieval swords".....that leaves a lot of other swords, daggers, armor etc out. 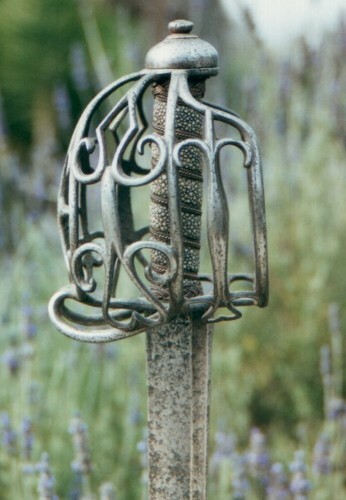 Indian zirah khula (mail coif), 16th or 17th century, large nasal guard indicating that this was for a high ranking individual and a rare attribute seldom found outside of large museum collections, constructed of heavy gauge alternating solid and riveted links, pommel on the top of the coif bearing the signs of craftsmanship found in the early iron weapons from the Deccan and Southern Indian Armouries such as Srirangam and Tanjore. Venetian Schiavona from the mid- to late-1700s. 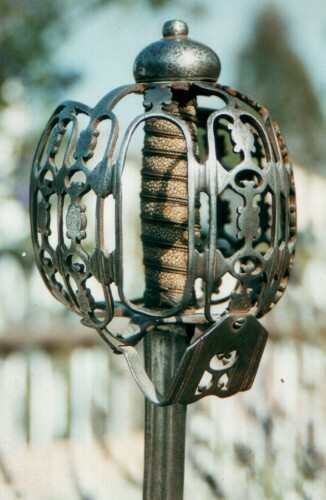 Steel Type 2b basket guard and finely detailed brass "cat's head" pommel. 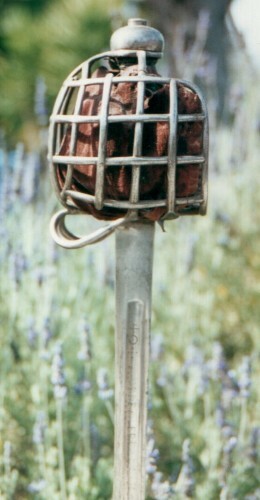 Original leather grip with thumb-ring on the guard. 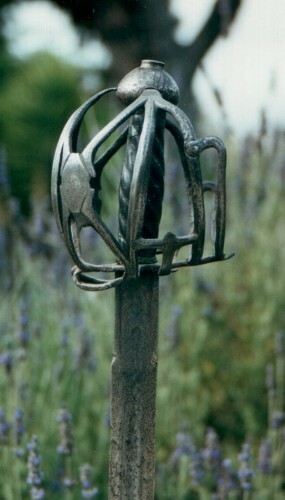 Mounted to a long and very sharp rapier blade of oval section with a short central fuller to each side. 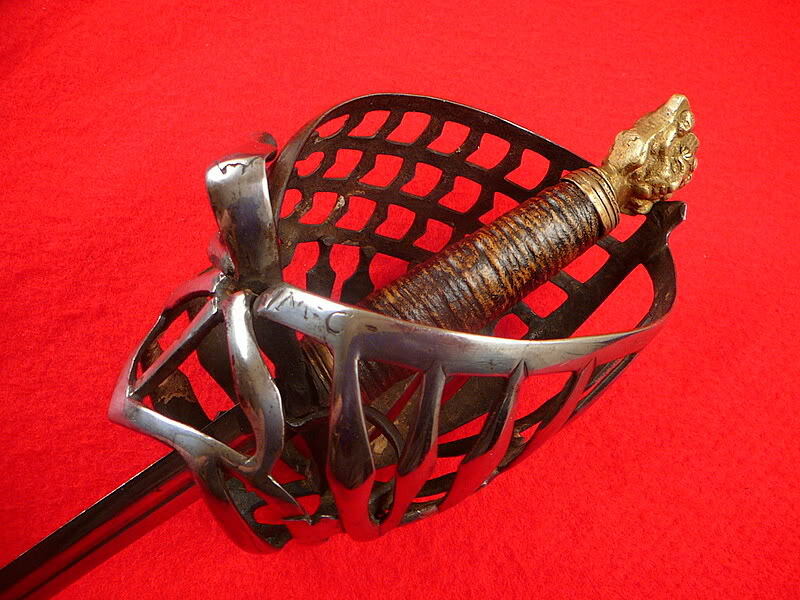 Slight play of the basket as mounted to the blade but overall very solid and intact. Overall length: 42". Blade length: 36"
Nice sword, great condition. 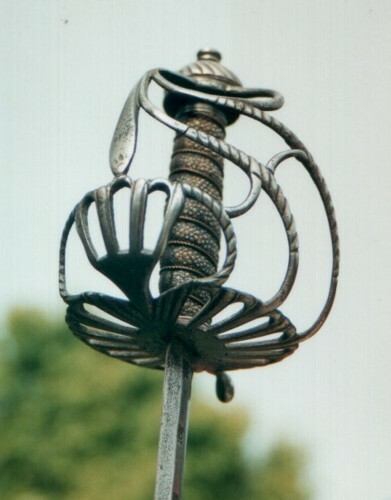 That looks sort of like the type of blade sometimes seen on Indian swords with foreign blades. 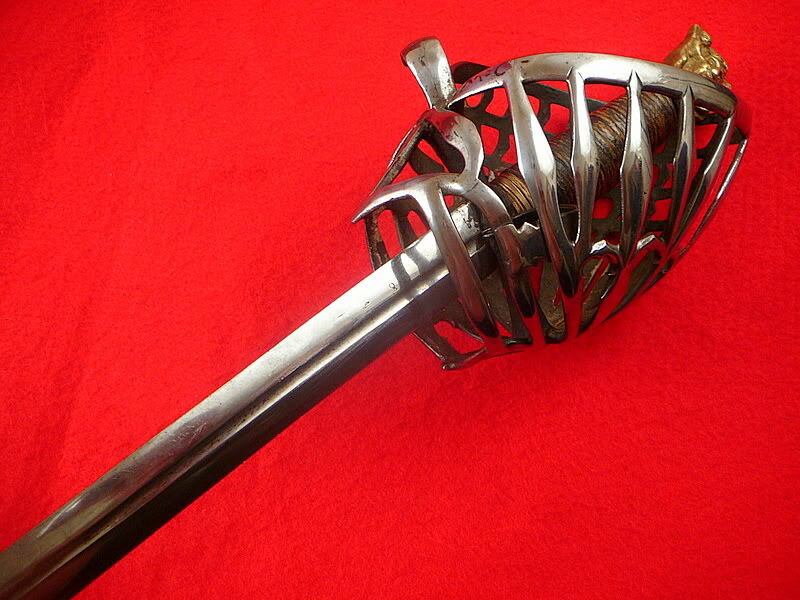 Here is an Indian hooded katar, 18th century or older, a very old and long version of the katar. A development stage between the pata (long gauntlet sword) and the short katar push dagger. 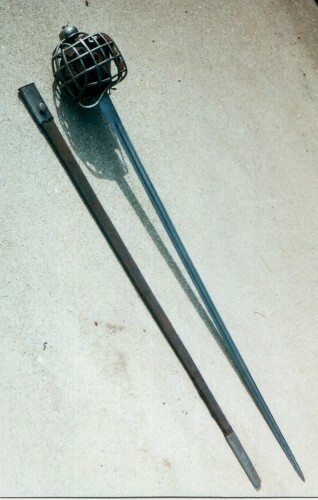 long and narrow rapier type blade, 38 inches. The cross bars are shaped like small balls. The handle is protected with a steel hood terminating in a styled yali (monster head) shaped tip. 44 inches total length. Shown next to a smaller 18th century hooded katar for comparison. I have wondered if the blade is European or just an Indian copy of a European blade. Think I'll post some of my swords. English, probably last half of the 1700s. 34" straight se blade with single narrow back fuller. There are some traces of etched designs on the blade. 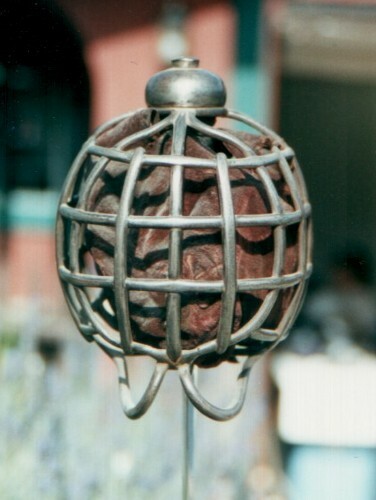 The basket is similar to those shown in Mazansky, p. 14-145. The grip is one of my restorations. 34" straight se blade, with narrow and wide fullers; the blade has been shortened, as the fuller runs out through the tip. Shagreen grip with copper wire binding. 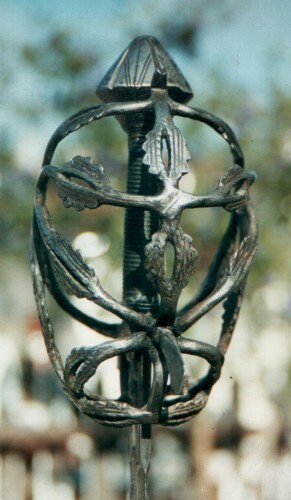 This hilt is composed of 3 scrolled branches to each side, but it is not symmetrical. The branches on the right curve up higher than those on the left, and have connecting members, unlike those on the left. 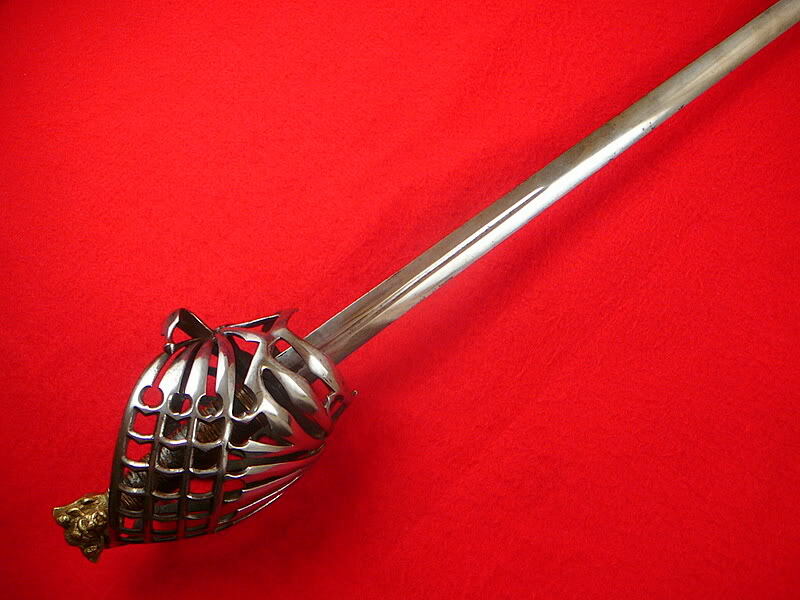 The hilt is of very robust construction. 32” straight se blade with narrow and wide fullers. 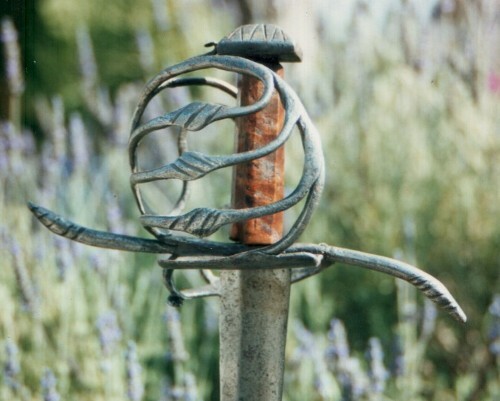 The blade has been shortened from about 36”, and is etched with the French royal arms, sun-in-splendor, and scrolls. 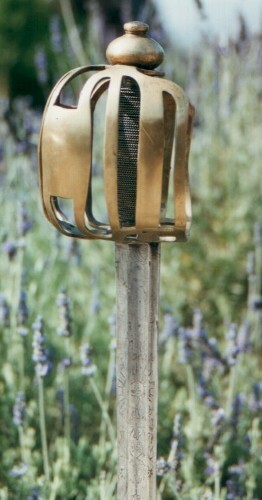 Brass basket crudely made of two halves, copper brazed together. There are 4 holes where the forward guard loops were riveted on. There used to be a scrolled “quillon” at the wrist, but this has been removed. 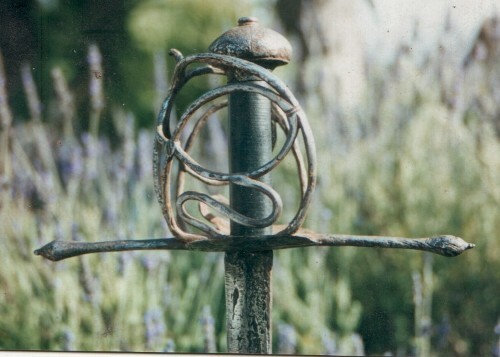 At first glance this looks like an English military sword, and when I first saw this sword and it's twin in a collection in Maine, that's what I thought they were. However, inspection revealed numerous detail differences between this and a product of the British Isles. 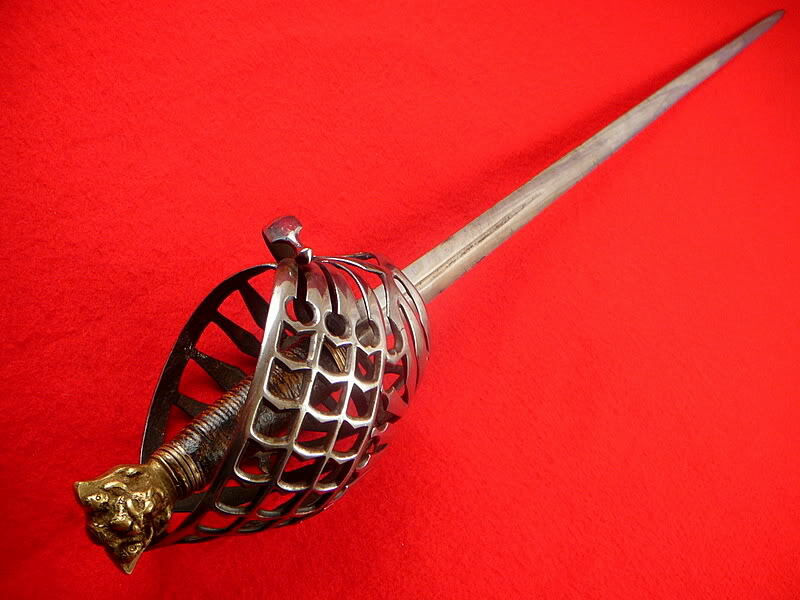 The former owner produced a book, “The Auld Alliance”, by Wood, and in it was a photo of one of these with the riveted loops and the thumb scroll in place, and with a 36” blade (if my memory serves). The text stated that these were made for Jacobites who had fled Scotland and were serving in the French army. I mentioned above that there were two of these in the Maine collection: the only difference between the two was the blade etching. 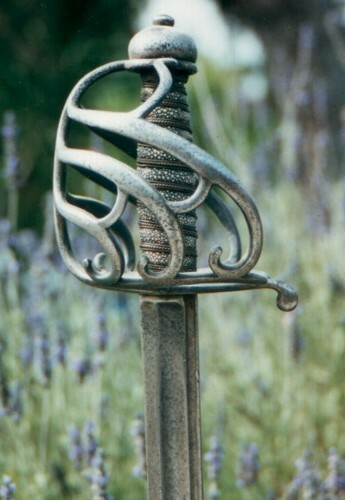 The other sword had a large panelled “VIVE LE ROI” on the blade. 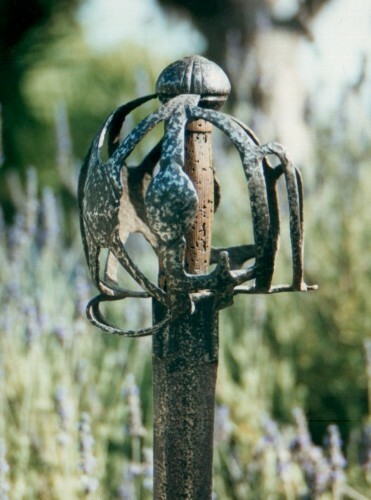 I did obtain both of the swords from the collector in Maine, but the "VIVE LE ROI" sword was traded off years ago. 32" curved se blade with single wide fuller, stamped with a mark on the left side. Grip is a replacement that I need to redo one of these days. 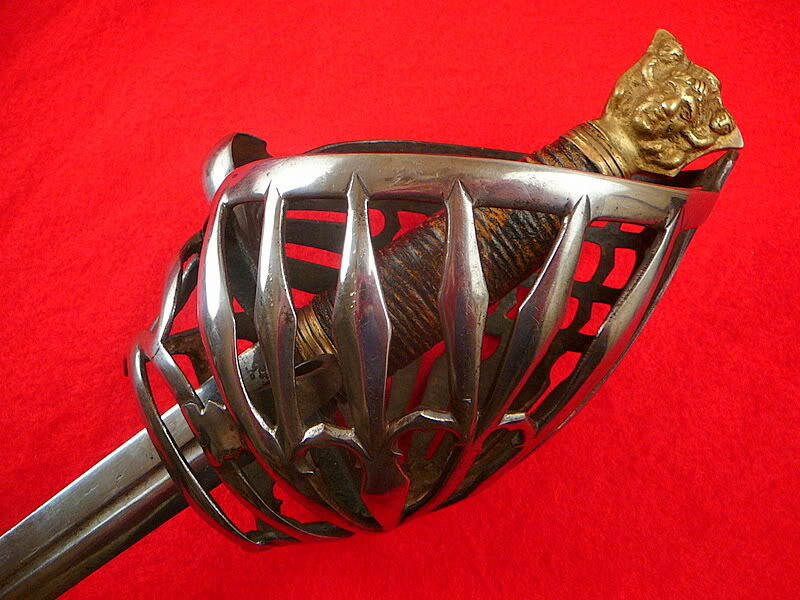 I suspect that the pommel is modern, but won't know until I take the sword apart. Basket is of nice form, very robustly made, but the filed decoration is pretty crude. 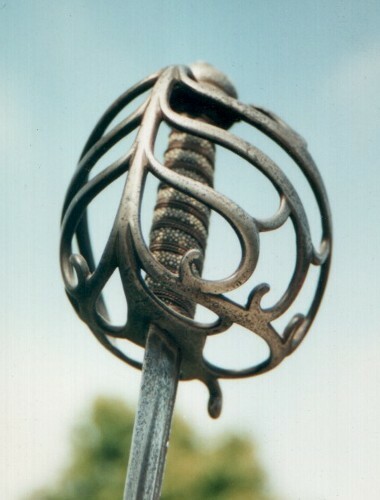 There is a short bar missing from the left side of the hilt. 36" se blade with wide and narrow fullers, stamped "GILL". 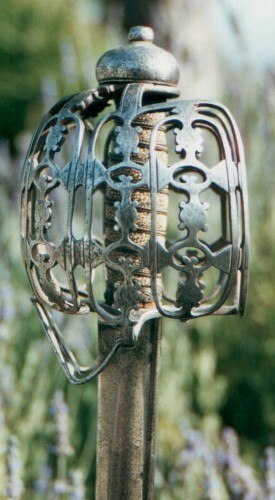 Oval paneled hilt with oval rein opening on the left. Shagreen covered grip bound with copper wire. The detachable forward guard is a modern restoration. 37" straight se blade with a single moderately wide fuller, stamped with a heart and cross on the left side. The heart/cross stamp has been tentatively identified as an Italian bladesmith's mark. 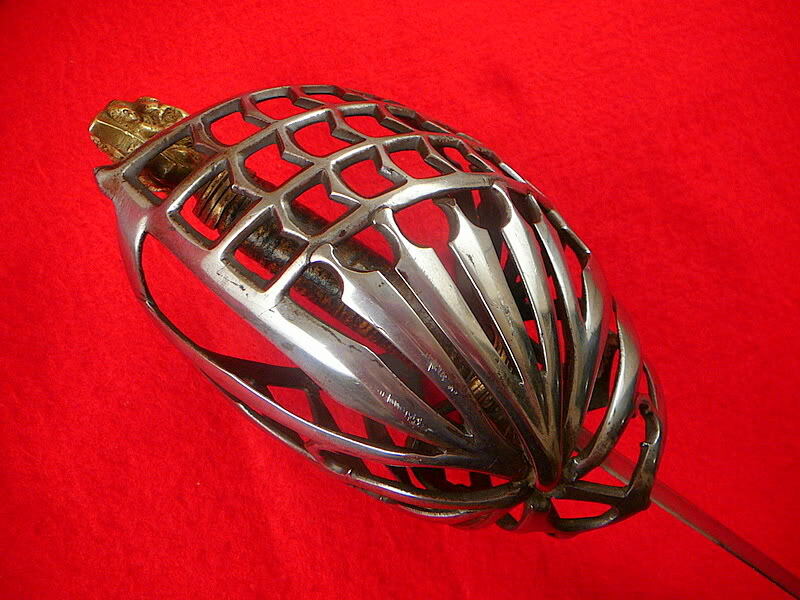 While the basket itself is typical, the long straight quillons are unusual, and I've only seen one other hilt of this type with quillons like these. 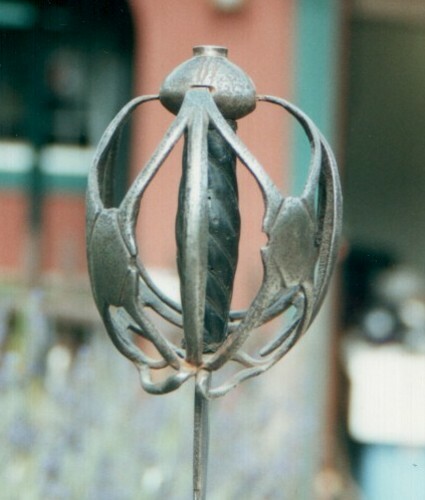 The base of the guard consists of two solid shells, the left one with a thumbring attached. 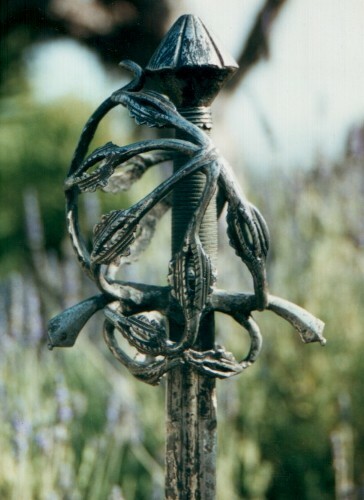 This sword is in excavated and cleaned condition. The forward quillon is modern, and several pieces of the guard have been repaired. The leather covered grip is one of my restorations. 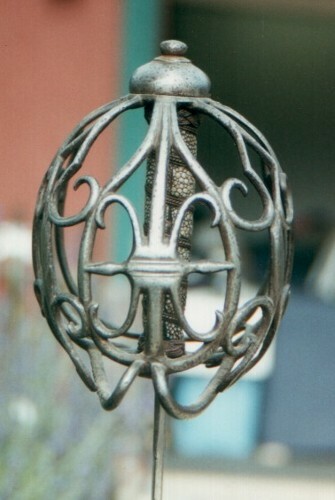 English/Scottish composed of rounded bars, arranged to form a basket of trellis form. 32" se blade, narrow and wide fullers, spuriously etched in the wide fullers during the 1700s with ANDRIA FERARA and various orb and cross marks. Grip is sharkskin with gilt wires and Turk's heads (some wires missing). The original scabbard is present. The velvet liner is I think a later restoration. German, dates sometime in the last half of the 1500s or early 1600s. 41" de blade with single short fuller inscribed IOHANNES. The grip is modern (one of my restorations), but all else, including the ferrules on the grip, is original. 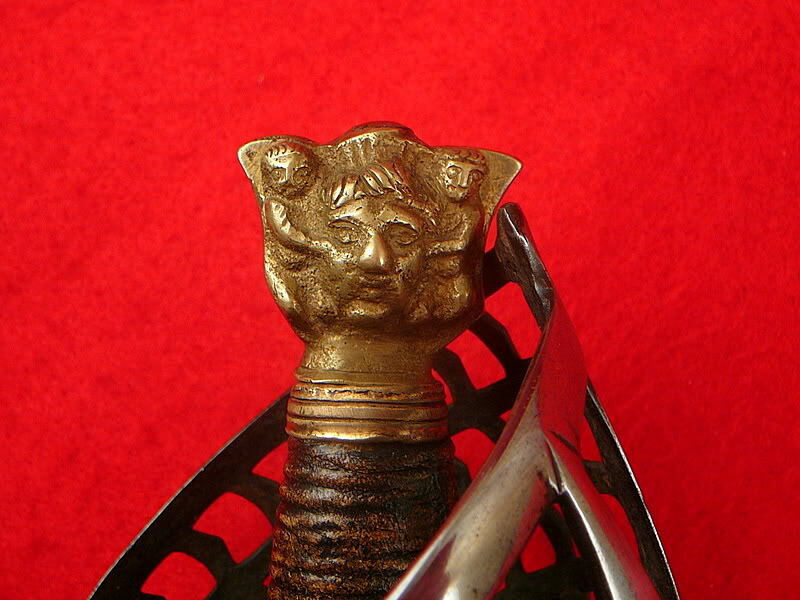 You'll note that some areas of the sword are very well preserved, while others have pitting. 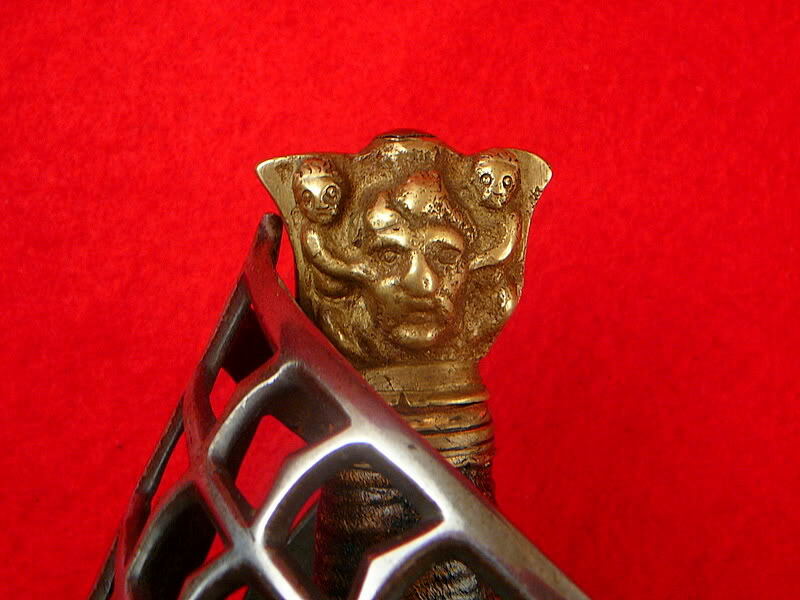 This sword was aquired by an aquaintance of mine from a European collection, and it was received covered in black lacquer. I think that the lacquer was an old arsenal preservative, and where it adhered to the steel, the steel was very well preserved, but where moisture penetrated, pitting resulted. Thus you can see areas that are almost pristine right next to some pitting. 32" de blade with short shallow fuller inscribed ELVIEGO SAHAGOM. There is a small circular stamp at the end of the fuller. The hilt is typical for the late 1600s, but what is unusual is that the ends of the knucklebows fit into small slots in the pommel. This is a feature seen on some Scots baskets of the early 1600s, and I suppose what you see here is a hiltmaker who liked the old way of fitting the knucklebows to the pommel. The grip is old hard leather with some wormholes. 38" de blade with single short shallow fuller, with faint traces of an inscription. 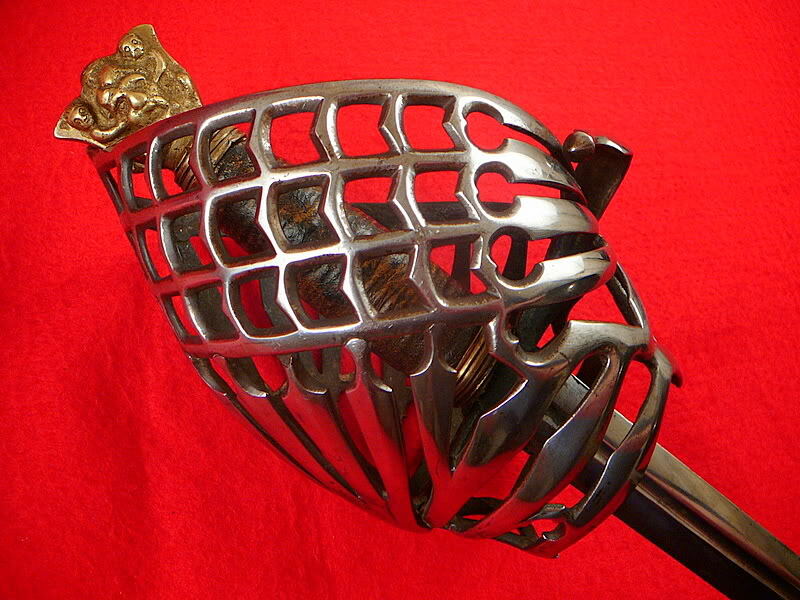 Hilt is interesting because it is constructed of flat ribbons instead of the more normal rounded bars. The sword is in almost excavated condition, but I obtained it because of the ribbon construction, and because of the oval panels at the center of the knucklebows (the front knucklebow also has an oval). I think that I've only seen one other basket with the ovals placed like this.